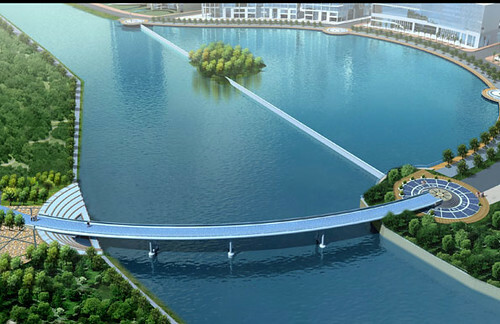 Designed by Gao Ge Company (China) and built by Sino- Pacific, Starlight Bridge, 170m long, 8.3m wide, developed by Phu My Hung Corporation across Thay Tieu arroyo links Canal District and The Crescent. With nearly capital investment of VND 50 billions, it has been the most modern and most beautiful pedestrian bridge in Vietnam. Harmonizing surrounding environment, Starlight bridge which meets both communication and sight requirement brings visitors a feeling of carefree and happiness when wandering this bridge. 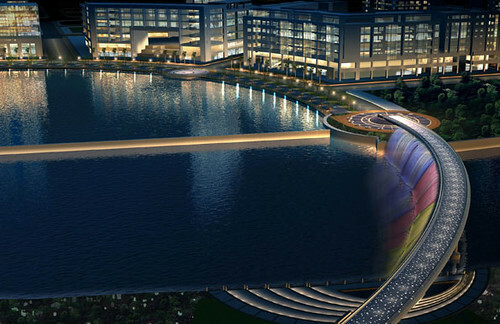 With a system of LEDs lights on the bridge surface, illuminated waterfalls, Starlight Bridge is like an outstanding light line connecting Canal District and the Crescent in the night. When walking on the bridge, visitors feel like they are wandering in the galaxy. Besides Starlight pedestrian bridge, Cau Tieu 2 bridge for vehicle has being built. Both are estimated to complete on 24/02/2010. 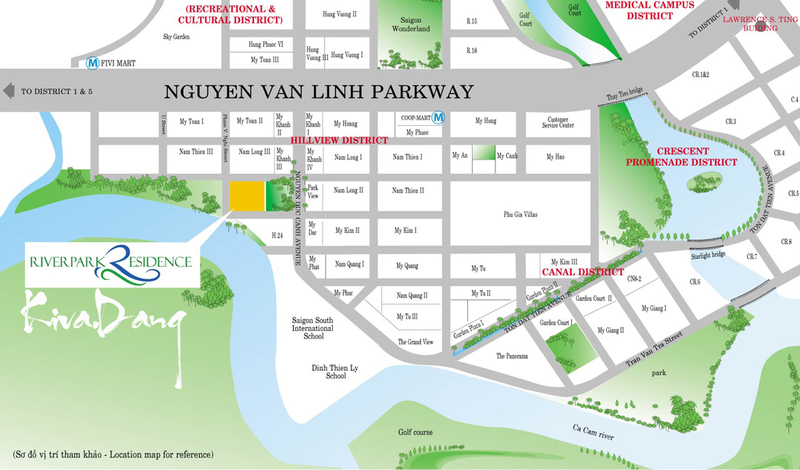 There are few sites to remain in the Hillview district of Saigon South (Phu My Hung New City Center). 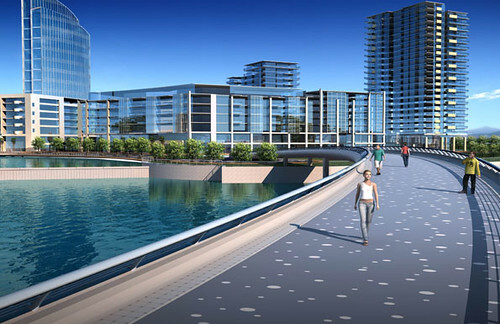 One of the most prominent locations between a main public park and the scenic river will be now developed into a high-class mix-use property with shopping arcades, podium spa areas and residential towers. Tel: 84.8.5411 8888 – Hotline: 091 670 9085. Grand Opening Ceremony: June 27th, 2009. 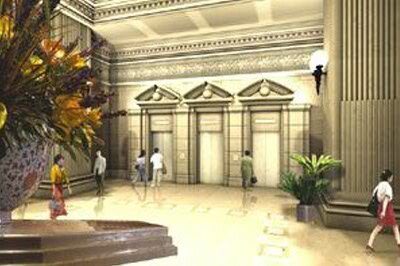 With 7,500 sq.m, Saigon Paragon is located in an International Trading and Financial Center at Nam Saigon. 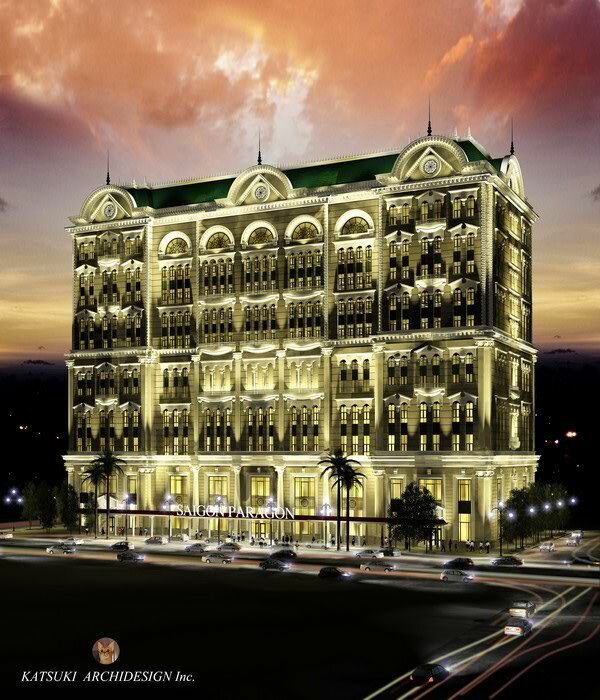 This is a 4,000 sq.m comfort entertainment, 9000sq.m office for lease and 3,000 sq.m for holding comference. In detail, the property comprise 10 floors in which 1-4 floor is fashion & beauty, digital lifestyle, art & life; 5-floor is entertainment space, 6-9 floor is space for every significant project and 10-floor is for the art of dining. 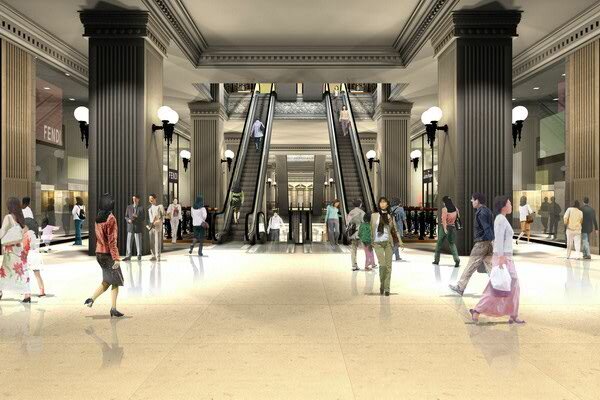 This also the first luxury shopping malls at Nam Saigon and will be opened on first quarter of 2008. Saigon Paragon is located in the new urban center, Saigon South, which is considered to be the most rapidly developing location in Vietnam. Saigon Paragon, for which transportation system will become full operational with one year, is becoming a new cultural and economic center in HCMC. It is very easy to reach to Saigon Paragon from the city center. It takes only 10 minutes to travel from Ben Thanh Market across Kenh Te Bridge to Saigon South. From District 5, one need only cross the Nguyen Tri Phuong Bridge. Finally, the Phu My Bridge, connecting district 2 to district 7, will provide a final gateway to the paragon. It will begin construction at the end of year. Saigon Paragon provides its own unique fresh atmosphere and sense of tranquility without making one feel out of place or stuffy. 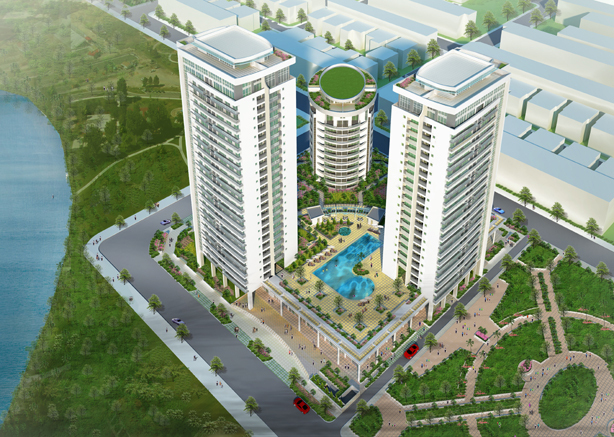 Saigon Paragon always retains its ebullience and sense of development. An architectural project created by the well-known Japanese architectural firm, Katsuki Design, the Paragon is a new masterpiece. 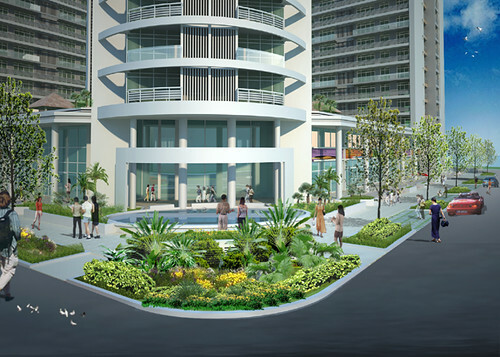 Embracing the simple and clean elegance of the time-honored, Paragon is an oasis of green trees and fresh air breezeway. This tropical oasis provides a calming and perfectly balanced environment for both business and pleasure. Paragon is a magnificent, composite structure created by the intelligent combination of boldness, invention, labor and investment. This analogy, however, is sorely lacking because it does not consider the value and exquisite beauty of the land on which it has been showcased. Architecture of Saigon Paragon is classically designed to bring together all of the most well-known trademarks of fashion, cosmetic, health care, and business. The dynamic economic group of Vietnam will find it the ideal location for their continued development and expansion. Phu My Hung, a glimpse of the bright future of Saigon South to come, has now added an attractive economic and trading paradise with the presence of Paragon Saigon. Inspect the inner workings of the modern art world where it meets the stamp and seal of the antique European Palace. The latest technological conveniences come together with an elegant and traditional style that can satisfy even the most discriminating taste. Success is assured in this perfect Paragon of both function and design. And it is certain that with a firm base of business, your dreams and aspirations will be more readily realized. Phu My Hung Corporation (PMH) on Thursday announced a luxury property project in HCMC’s District 7 and chose Savills Vietnam as a sole leasing and management agent for the project. 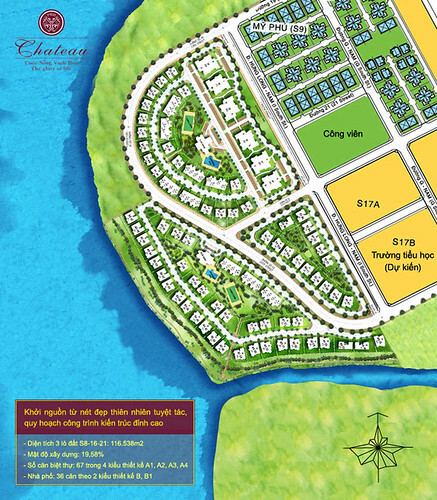 The corporation said it had poured US$200 million into the first phase of The Crescent project, which covers some 150,000 square meters in the new financial and commercial section in Phu My Hung new urban town. As designed, The Crescent will have some 300 serviced apartments, 10,000 square meters of international standard office space, 20,000 square meters of waterfront retail space, and will be up and running by early July this year. 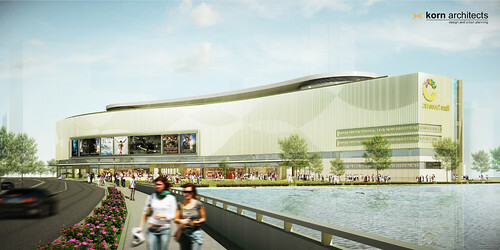 It will include a 60,000-square-meter regional shopping mall on which work will begin in July this year. The project developer said that the entire project was expected to be completed by late 2010 with total investment capital of around US$400 million. PMH said that when in place The Crescent would bring to Saigon South a destination that embraces the character of the existing crescent lake and offers the latest in working, shopping, entertainment, dining and living choices for present and future generations. They also include 210 stores, restaurants and cafes offering both indoor and alfresco dining, an entertainment area with eight screen cinemas, community spaces such as the Starlight Bridge and the pedestrian waterside boardwalk. Speaking at the introduction ceremony at Lawrence S. Ting Building in District 7, Brett Ashton, managing director of Savills Vietnam, disclosed that rent for the serviced apartments would start from US$1,800 per apartment per month. 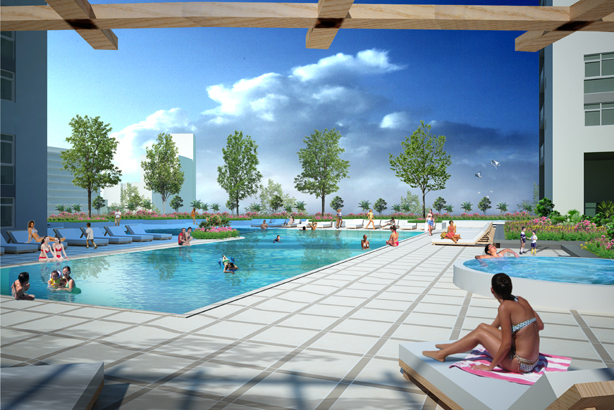 The apartments are designed with one to four bedrooms. The management company said that rent for retail space would range from US$25 to US$80 per square meter per month. However, office rent has yet been announced. The company said guests could come to see model apartments and offices late this month, and that there were customers registered for serviced apartments and retail spaces. Ashton said it was exciting to be involved in the international shopping mall and entertainment venue of Vietnam, and that Savills had managed and been involved in numerous retail projects across the region. Jeremy Helsby, group chief executive of Savills plc, who has just come to Vietnam to meet his people as well as to support business, said Vietnam had a lot of potentials in real estate. In terms of profit margin Vietnam is one of the best countries in Asia contributing a good profit to the global business of the group, Helsby told the Daily. However, in terms of the size of business Vietnam is a small country as compared to others in the region. “Choose the right price” is a popular local television game show. Joining the game, the player is challenged to identify the exact prices of consumer goods such as shampoos, kitchen wares, perfumes and beverages among others. Although the player gets hints from the audiences at the studio before giving a final decision, they often miss chances to be the winner of the game. The property market is just like that if it comes to looking at the apartment segment. The real prices of apartments are challenging the homebuyer to guess. 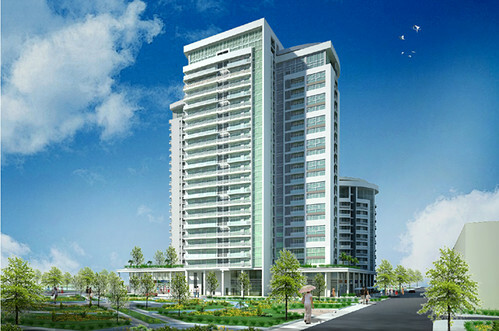 The apartment prices are on the decrease under the pressure from dampened sentiment. Some project developers have begun slashing selling prices of apartments. Some say this is the right time to grasp the opportunity while others claim that such declines have yet to reflect the real prices, so they will continue for some time. After a long period of overheating, the property market has been experiencing the fallout from the past credit crunch and then the economic slowdown, with land and housing prices taking a nosedive. Some property firms have been making efforts to pull themselves of the blues. Several weeks ago, HAGL Land stirred up the quiet market with a surprise announcement by slashing prices of apartments by a stunning 40% to attract potential buyers. Some 500 apartments of the two apartment projects including Hoang Anh Riverview in Thao Dien Ward in District 2 and Phu Hoang Anh in HCMC’s Nha Be District were on the promotion list. 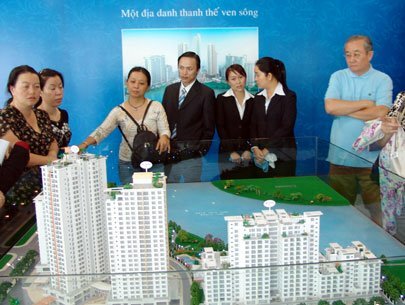 Back to 2007 when the property market was seeing prices running wild, HAGL Land quoted Hoang Anh River View apartments at US$2,300 per square meter and Phu Hoang Anh ones at US$1,800. However, until recently the prices have slid to as low as to US$1,350 and US$1,250 respectively. Explaining the huge price cuts, the company said prices of building materials ware falling, coupled with the low prices the company enjoyed when acquiring land for the projects. Following HAGL Land, Dat Xanh Real Estate Company has been running an advertising campaign for its SunView Apartment in Tam Phu Ward in HCMC’s Thu Duc District. There are 200 apartments put on sale with prices slashed to US$764 per square meter from the US$1,300 a year ago. In another project, Daewon Hoan Cau Housing Development Joint Venture Company is offering a price of US$2,000 per square meter for the Cantavil Hoan Cau project on Dien Bien Phu Street in HCMC’s Binh Thanh District. This is the project which sparked a controversy several months ago as a property service company released research results showing a considerable decline in prices in the project. A representative of the Daewon Hoan Cau denied it, saying such information threw the company into a difficult position. Commenting on the most recent apartment price reductions, Le Tham Duong, head of the Administration Faculty of the HCMC Banking University, said it was just an excuse. Property companies said they were supporting the Government’s economic stimulus program, but in fact, they have no choice but to lower prices to either recoup capital or restructure their investment portfolios, he said. Slashing prices, Duong said, is the wisest decision under the current circumstances and they have to narrow their expected profit margin to survive troubled times. To some extend, the fall in prices of apartments is sending out a positive signal to the market as there are many transactions reported in the last few weeks. However, this would not have happened if there had been no promise of financial support from banks. Most of the projects that are on the price promotion rampage have got pledges from banks to offer loans worth at least 70% of the value of an apartment. For example, Sai Gon Thuong Tin Real Estate Joint Stock Company (Sacomreal), which is distributing some 300 Hoang Anh Riverview apartments, is supporting the homebuyer with loans from Sacombank, Vietcombank and Bank for Investment and Development of Vietnam (BIDV), with repayments to be made for 10 to 20 years. 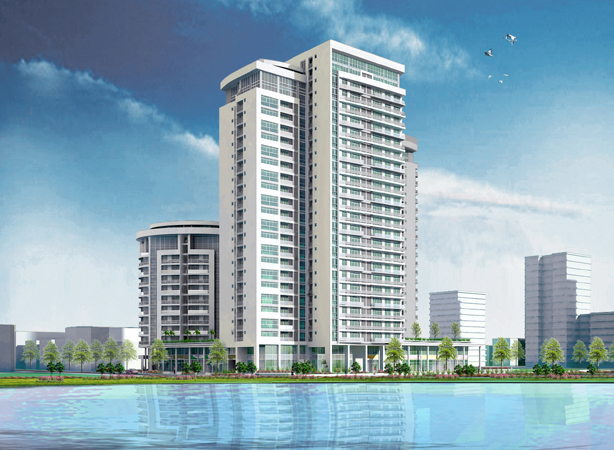 Phu My Hung Corporation (PMH) early this month started selling apartments in the Riverside Residence project at VND37 million per square meter. The company said 128 apartments were snapped up within one morning. Twelve banks were backing the company by providing loans up to 70% of the value of an apartment for the buyer. The term of loans is up to 20 years. Besides prices, financial support is a vital condition for both project developers and homebuyers. With the market becoming busier in the last several weeks, some say the market is being warmed up, but others show a conservative attitude as prices of apartments remain high regardless of the most recent drops. However, the current market conditions are still for a certain group of moneyed people since many people with limited finances but real demand for a home are still seeing the current apartment prices unaffordable.